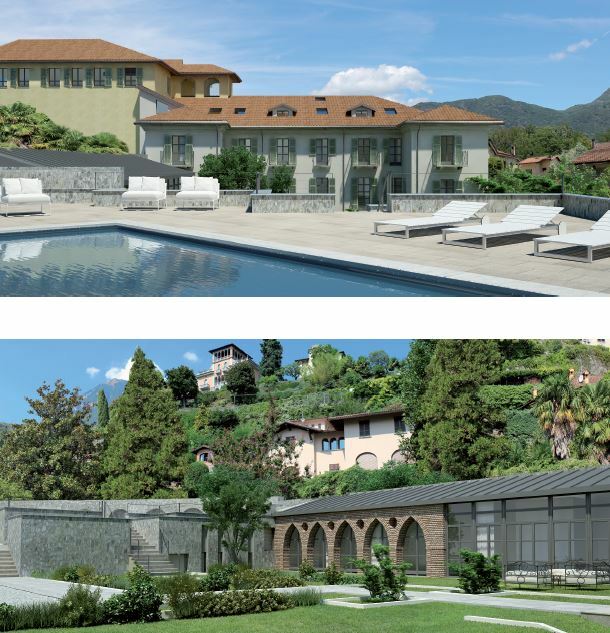 Villa Castelli - various apartments in central Menaggio within a historic villa with swimming pool and just a short stroll from the lake. 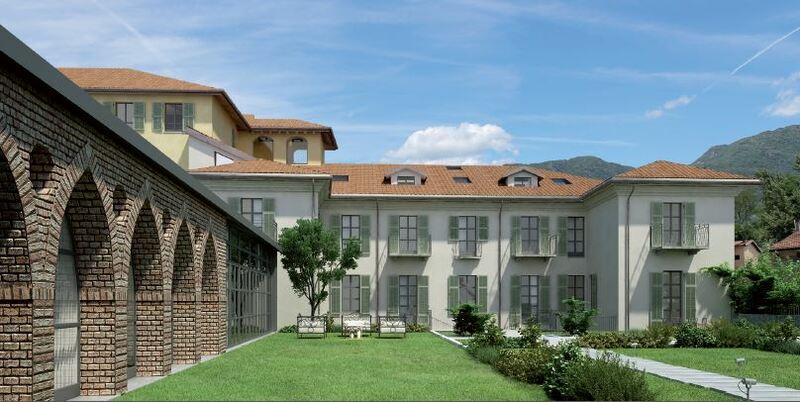 Located just a few steps from the main piazza in the popular lakeside village of Menaggio we offer these newly refurbished apartment within Villa Castelli from the 18th Century. 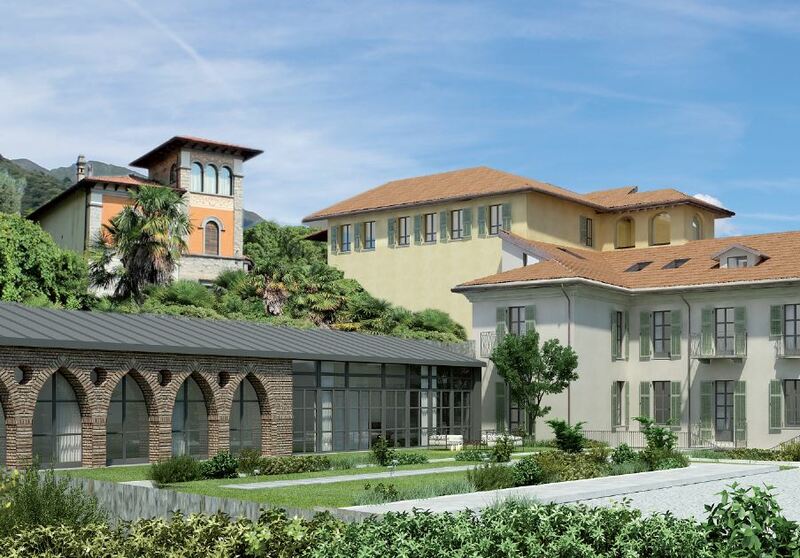 The villa is located in central Menaggio with pedestrian access from the main piazza and the lakefront. 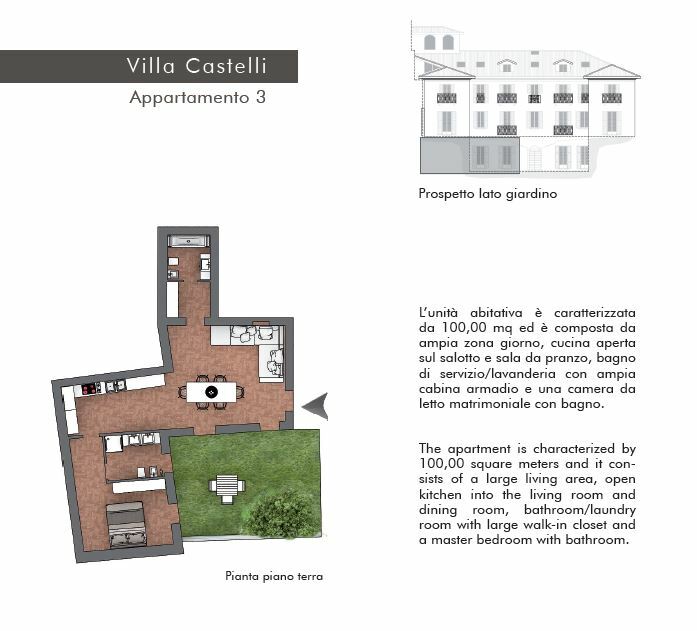 The historic villa has been designed to create 11 apartments spread over 3 floors served by an internal lift. 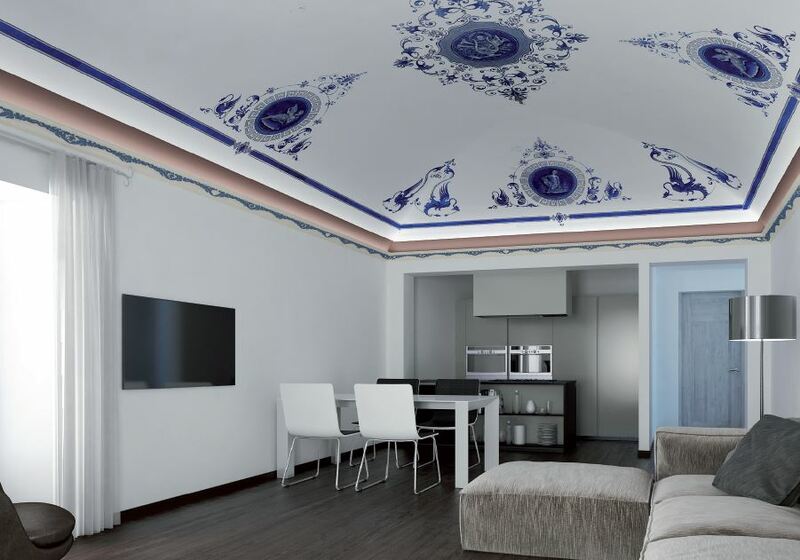 The historical nature of the original villa has been maintained and many of the original features included within the new apartments. 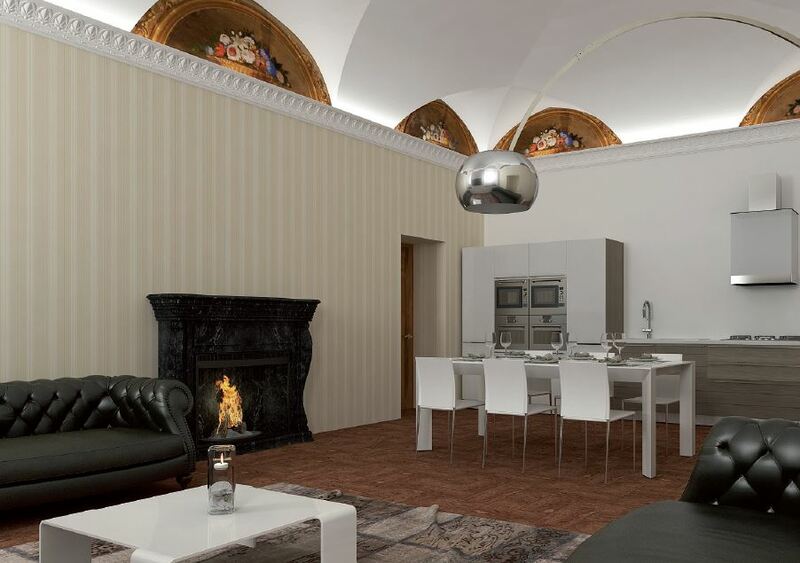 The original grand stone staircase, vaulted and decorated ceilings retained and incroporated into the contemporary apartments. All the apartments have private parking spaces a shared swimming pool with solarium and shared garden. Large living room, open kitchen and dining room, master bedroom, dressing room and 2 bathrooms. Private garden. 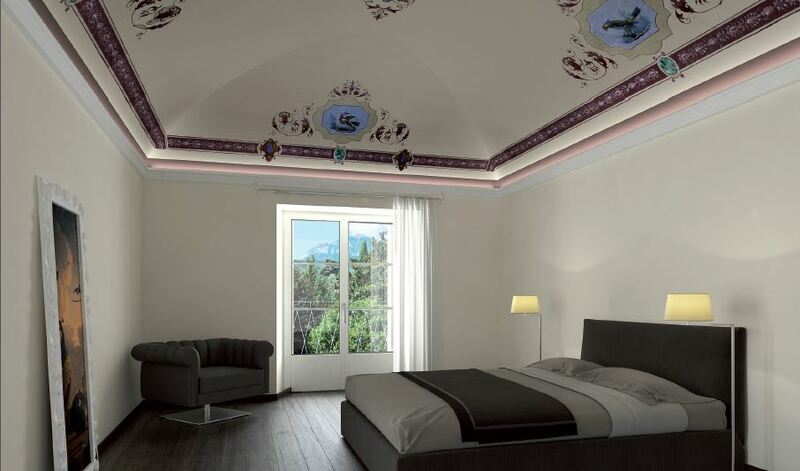 Apartment on 3 floors with living room, open kitchen, bathroom, 2 double bedrooms with en-suite bathrooms. The apartment has a large private courtyard which is partially covered. The apartment retains the original stone columns. 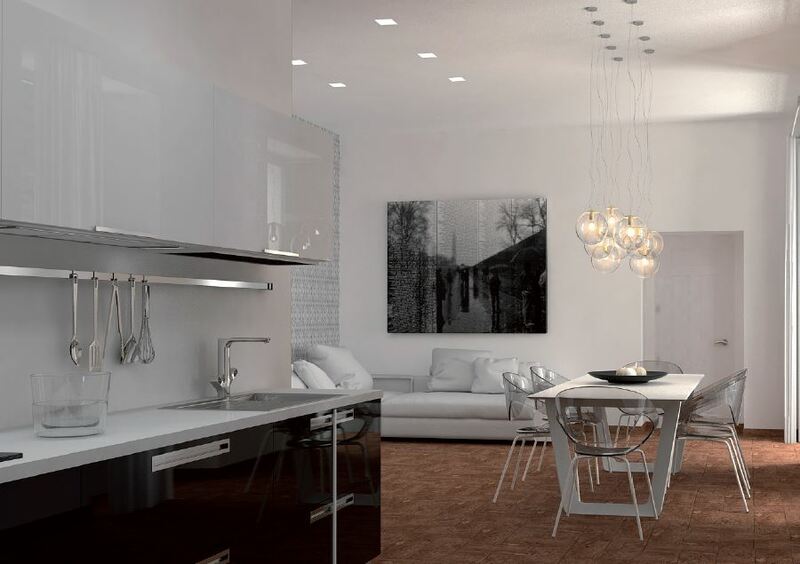 Large living room, open kitchen and dining room, 2 double bedrooms with en-suite bathrooms. The apartment has a large private garden and balcony. 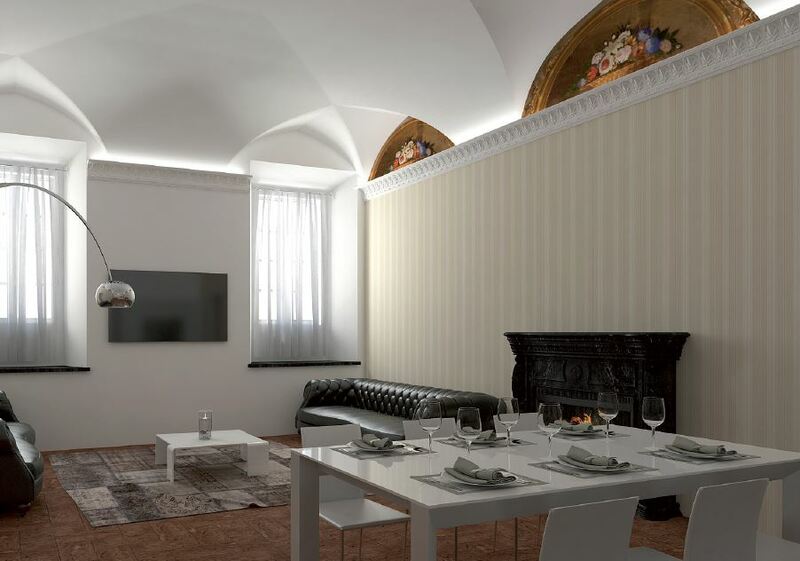 duplex apartment with living room, open kitchen, bathroom on the second floor, 2 bedrooms with bathroom and open study mezzanine on the attic floor. 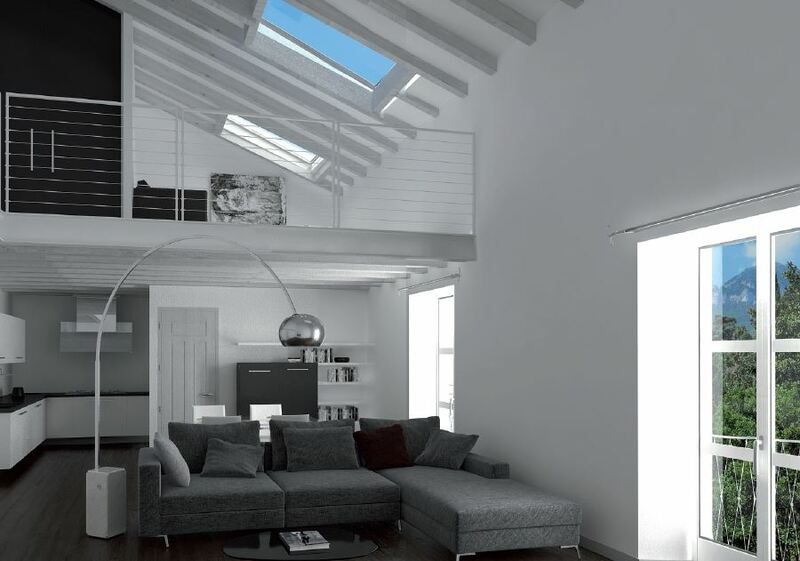 The apartment has large open volumes with large windows and skylights ensuring lots of internal light. Duplex apartment with living room, open kitchen, and guest bathroom on the second floor with a double bedroom, en-suite bathroom and sitting area in the attic. The apartment has 2 balconies in the living area with large windows, high ceilings and skylights ensuring excellent internal light. Apartment on 3 levels with large living room with 2 balconies, open kitchen and dining room, bedroom and bathroom on the second floor, bedroom, study and bathroom in the attic level. The apartment has a wonderful converted turret with lovely lake views. The apartment has a large private courtyard which is partially covered. 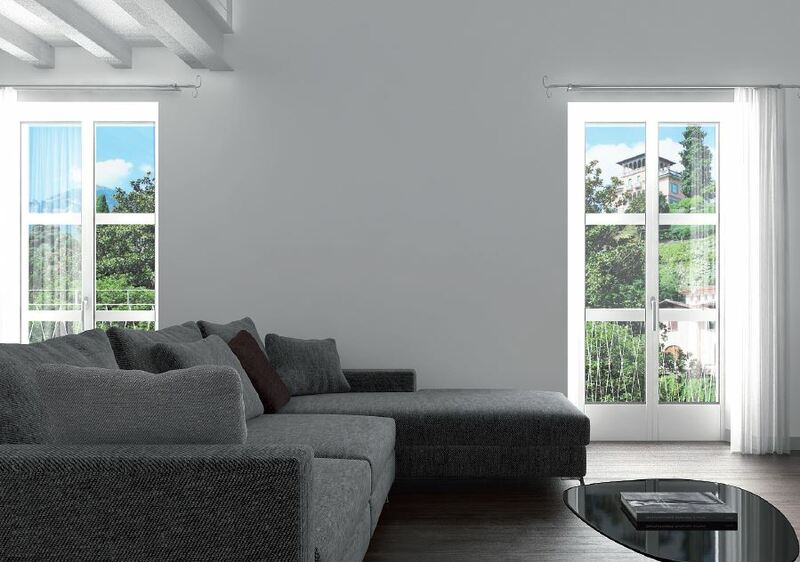 The apartment has 2 balconies in the living area with large windows, high ceilings and skylights ensuring excellent internal light. 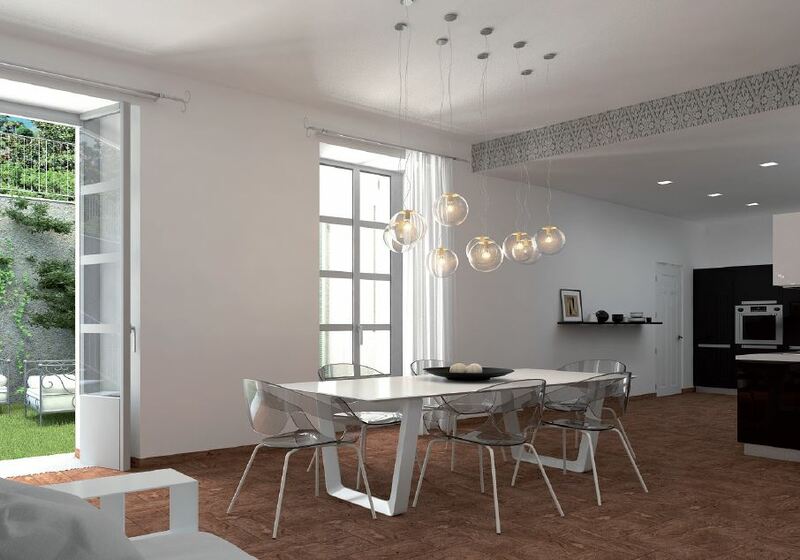 Single level apartment independent from the main villa consisting of living room, dining room, open kitchen, 2 double bedrooms and 2 bathrooms and dressing room. The apartment retains the original brick arches and has access to a large private garden and large arched windows overlooking the garden. The property is just a short stroll from the lake and all the amenities in this popular lakeside village including lido, numerous restaurants, excellent ferry service and golf course. 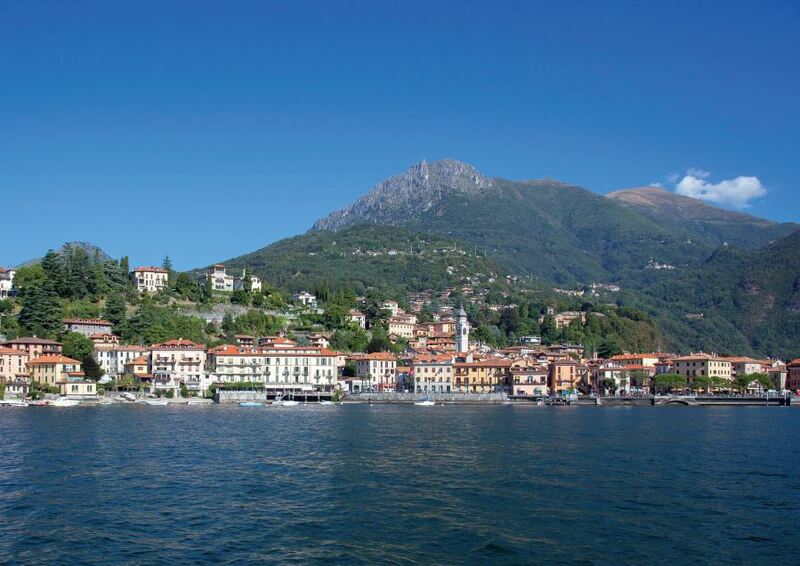 Menaggio is one of the more popular villages on the lake making it an ideal base to explore the lake or as a rental investment.